Things can look so easy on YouTube or in the movies—kicking open doors, picking a lock, whistling real loud, drawing, losing weight, putting in contact lenses and so on and so on to infinity. I can add another ‘skill’ to that long list. It’s welding. Really, doesn’t it look easy? It looks as easy as spraying water out of a hose. Flip a switch, point the gun and let it do its thing. Hell’s bells, who can’t do that? 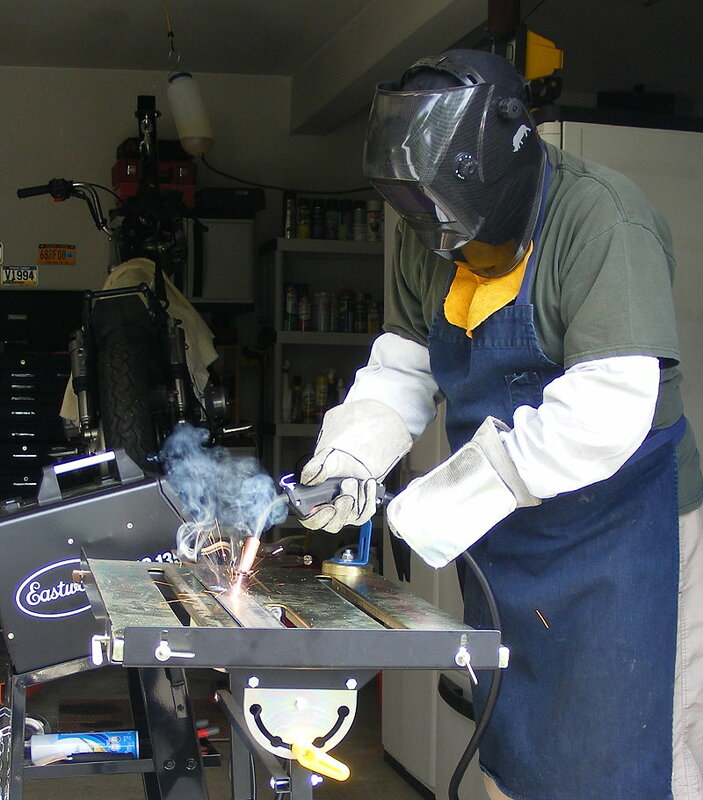 To prepare for my foray into welding, I read How To Weld by Todd Bridigum, which is an excellent book by the way. 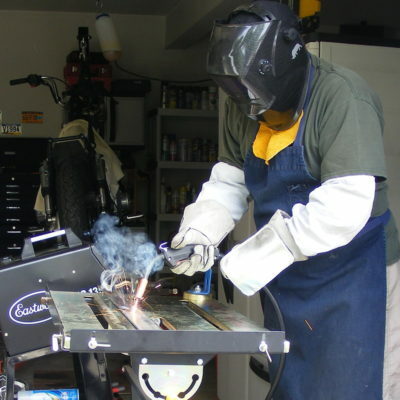 It’s packed with information that’s useful for all levels of welders and would-be welders. I watched countless YouTube videos, some better than others. 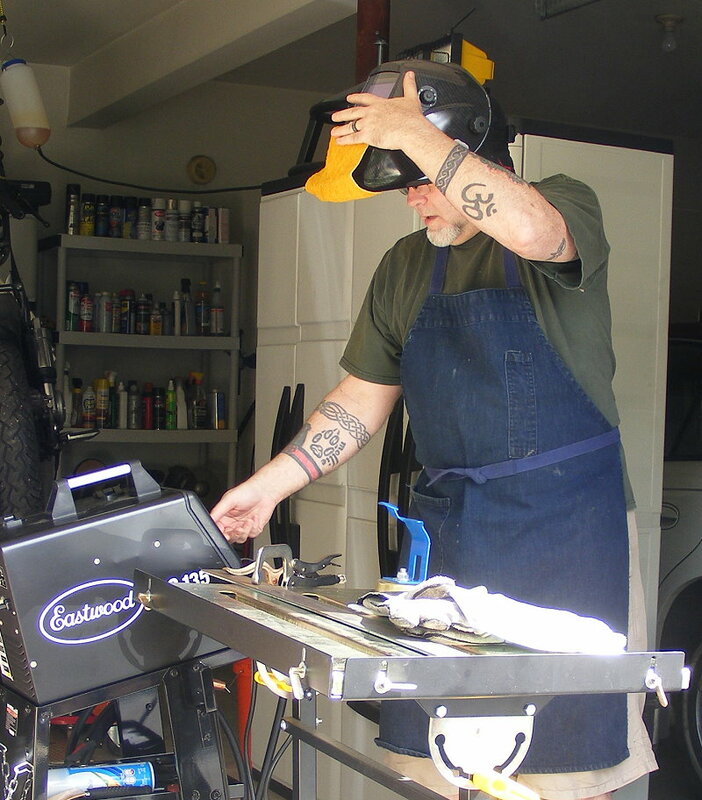 I carefully selected the right equipment—welder, wire, extension cord, gloves, helmet, table, clamps, ground wire clamp and everything else. I even bought a used pair of Red Wing boots. I was set and ready to go. But for some reason, it kept getting put on the back burner. It wasn’t a lack of interest or confidence. It wasn’t laziness, timidity or apprehension. No, I don’t think it was any of that. It was more likely the need to live in a fantasy world where welding beads looked perfect and the necessary skills were acquired simply by reading and watching YouTube vids. 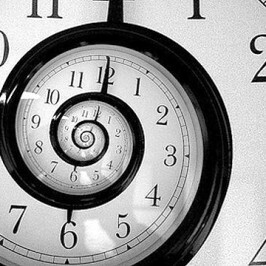 The problem is that it’s a fantasy, and fantasies usually come crashing down. Okay, so my first crack at welding wasn’t great. Actually, the word that best describes it would be sputtering. It didn’t feel like user error; it felt like something was wrong with the machine. How could that be? It’s new for god’s sake. Wait, it’s new and unmolested except for the ground. 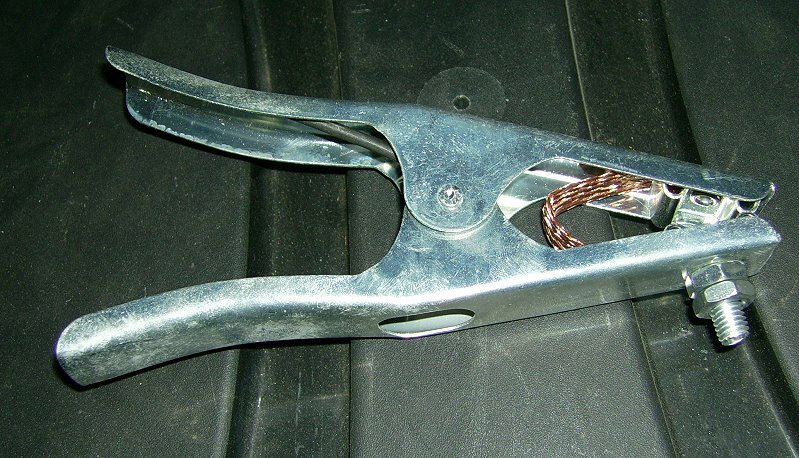 While living in my welding fantasy world, I ran into lots of discussions about grounding and its importance. 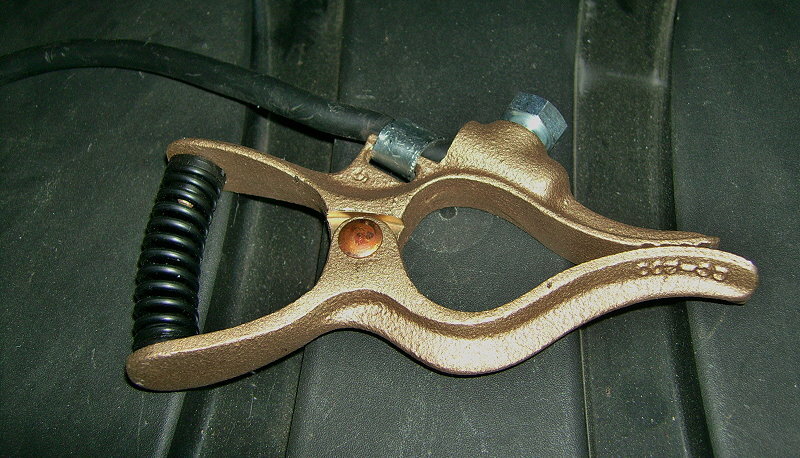 Along the same lines, discussions often criticized the poor OEM grounding clamps (below, left) found on MIG machines, even the higher-end machines. I watched videos explaining the pros and cons of several different styles. All this information led me to spend money on a good Tweco clamp (below, right). Now, when I replaced the OEM clamp with the Tweco clamp, I tried to save the ring terminal on the OEM ground. 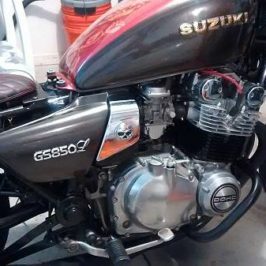 To make a long story short, let’s suffice it to say that besides not being a professional bike builder and welder, I’m not an electrician either. 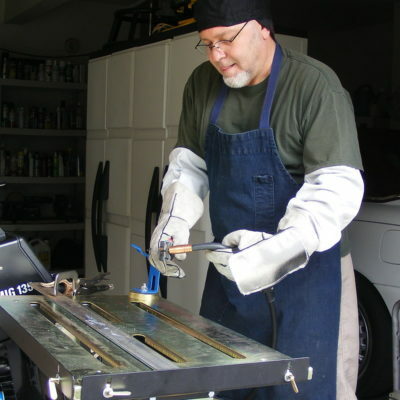 After fixing the ground connection (strip the insulation, twist the copper strands and apply solder), the sputtering stopped and the machine could constantly flow electricity and wire. It’s the sound of sizzling bacon, they say. With everything flowing as it should, I expected to see weld puddles and beads. What I got was this. Now that’s some ugly ‘beads’ (and I use the term loosely, very loosely). As it turns out, I was moving way too fast. 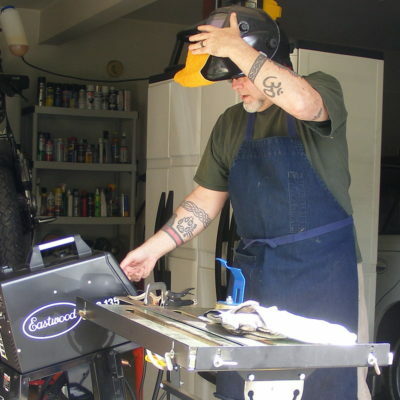 My welding gun should have moved about an inch every five to seven seconds. I was moving an inch in about a second and a half. 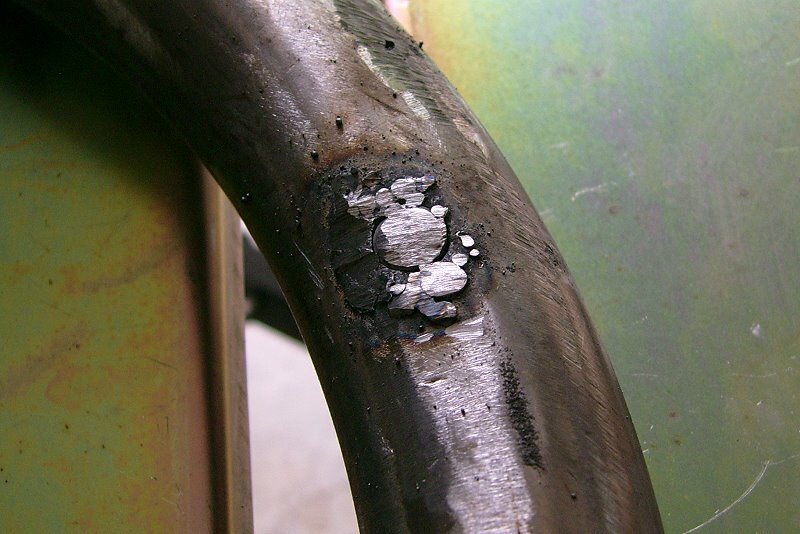 Moving too fast produces a weak weld, a weld with no penetration into the material. On the upside, I somewhat closed the holes that were made to repair the dents in the exhaust. I wrote about them in the last post. 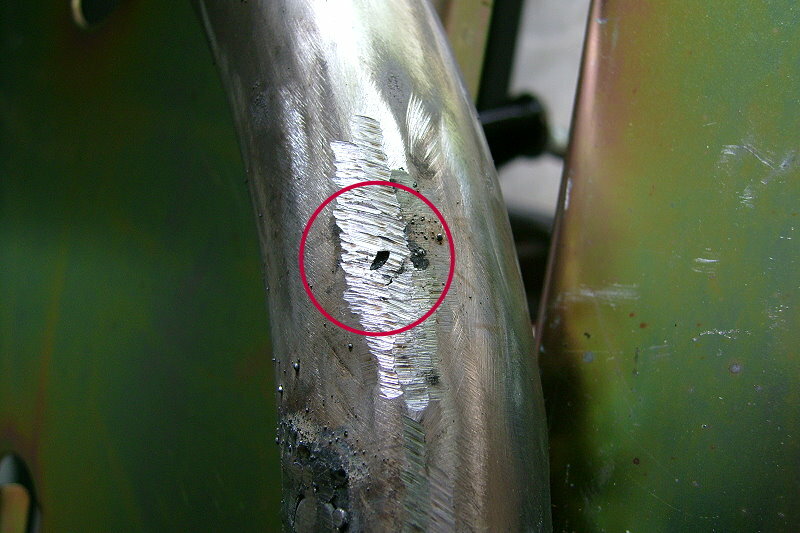 The smaller hole (below, left) filled in easily with a few short hits from the welder. 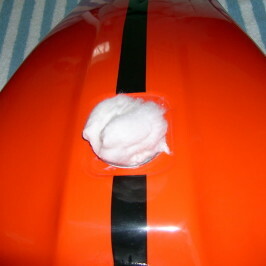 The larger hole (below, right) needed filler material, so I tack-welded a bolt at a shallow depth to avoid disruption of the exhaust pulses. 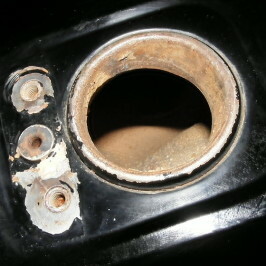 After tacking it and trying to actually weld it to the exhaust pipe, the majority of the bolt was cut and ground off. 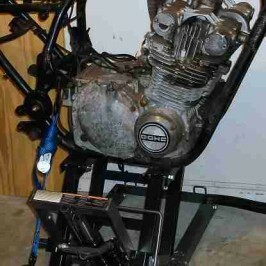 It needs a little more work, for sure. But, I’m happy that I didn’t do a bad (and expensive) burn through. Considering everything, it wasn’t a horrific start. 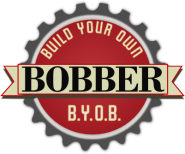 One of the best parts of B.Y.O.B. 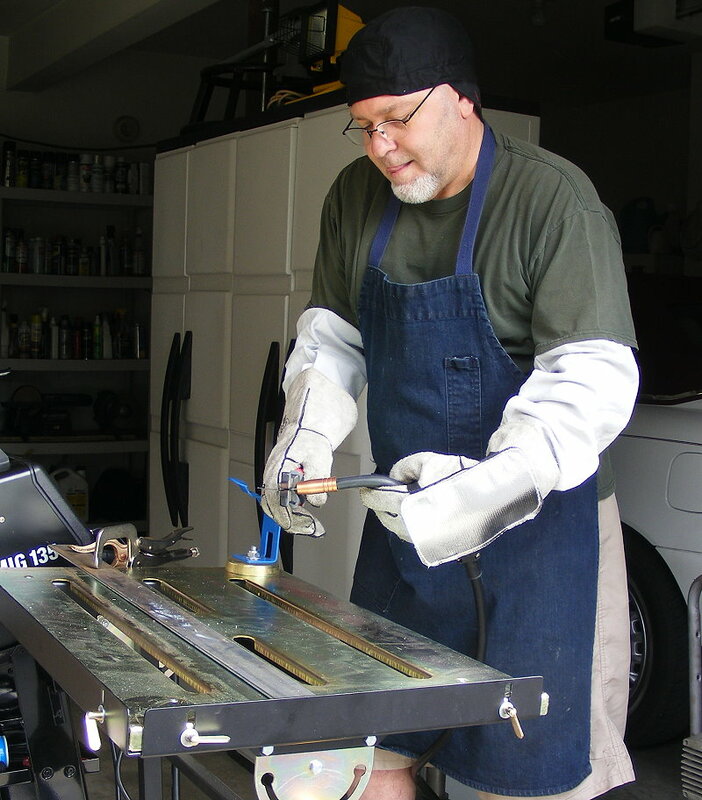 (Be Your Own Boss) is that I can stop trying to weld whenever I want to avoid frustration. Some people might call it meltdown. In that light…tomorrow is another day!